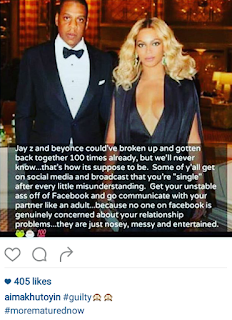 Toyin Aimakhu has gotten the memo on managing relationship and social media. It took a meme inspired by Jay Z and Beyonce. What do say about her thoughts?